Much of Alan Parker’s childhood was spent during World War II in Coventry, England, (where the family home was bombed) and in Birmingham, where street games included collecting shrapnel, and where he learned the art of frugality – how to feed a family by growing fruit and vegetables in the back garden. He retained a strong interest in Churchill and the war throughout his life. Alan’s father, Arthur, was an engineering design draughtsman and his mother Dora worked in nursing and millinery in addition to “mothering”. His younger brother Graham, like Alan, followed his father into engineering drafting. Alan was very close to his maternal grandmother who had lived though WWI and was sympathetic to Alan’s anti- war activities. Alan’s education was in Birmingham, his secondary education at the Moseley Junior College of Arts and Crafts. Alan completed a trade and mechanical engineering drafting apprenticeship and the Ordinary National Certificate in Mechanical Engineering. He was fiercely proud of the role of English Midlands engineering firms in the industrial history of Britain and disappointed when, living in Australia, his qualifications were not fully understood. As a teenager, Alan spent time reading and exploring ideas, including those of Bertrand Russell and Mahatma Gandhi who influenced his later anti-war activities. He was also a keen long-distance runner, a member of the junior Midland Harriers, and an admirer of athletics coach Percy Cerutty. He was excited when, in the 1970s and living in Australia, he acquired a weekender in Sorrento in Victoria, close to the sand dunes where Cerutty had trained athletes. A road accident in Scotland in 1957 put an end to Alan’s running activities but he continued to enjoy hill walking and cycling. During his convalescence in North Wales he met Evelyn Jones, a teacher, whom he married in 1958. Their daughter Sheila was born in 1961. They moved to the Scottish new town of East Kilbride where Alan continued working in engineering. Alan joined two groups that campaigned against the presence of US Polaris submarines in Scotland, using non-violent techniques including demonstrations, sit-ins and fasts at naval bases. During this period Alan spent six weeks in Barlinnie Prison in Glasgow after refusing to recognise the legitimacy of the court to deal with what he saw as an issue of morality after his arrest during a demonstration. While in prison Joan Baez sang in Glasgow and dedicated a song to Alan and two others demonstrators in Barlinnie – hence Alan’s life-long love of the music of Joan Baez. In 1964 Alan resigned from a plant planning position at Honeywell Controls because of pressure on him to refrain from promoting the Campaign for Nuclear Disarmament while at work. Alan and family returned to England in 1964 but two years later Alan and Eve separated and he returned to Scotland. In Glasgow he met Doreen Cormack, a librarian. In 1967 Alan travelled to Shiraz in Iran to join Doreen who had been appointed to a position in the university library there. A year later they returned to Scotland where they married. In late 1970 Alan and Doreen travelled to Australia, arriving in Western Australia where they lived for a year and Alan enjoyed bushwalking, swimming and drafting. In 1971 Alan and Doreen moved to Melbourne where Alan continued to do drafting and to enjoy the beach and bushwalking. After a few years Alan had to stop bushwalking because of worsening osteoarthritis in the hips. He started to use a bicycle and developed an interest in urban planning and alternative transport, promoting improved pedestrian facilities with the Town and Country Planning Association and town planner Robert McAlpine. The Bicycle Institute of Victoria was co-founded by Brian Dixon, Victorian Minister for Youth, Sport and Recreation, Keith Dunstan, journalist, and by Alan Parker in 1974. The BIV’s activities included lobbying politicians and planners, producing the newsletter Pedal Power and organising a Victorian bike ride. Alan was honorary research officer for 12 years and president for two years. Alan also held other positions including vice president of the Bicycle Federation of Australia, membership of the State Government Bicycle Planning Committee, Acting President of the Town and Country Planning Association and a founder of West Of the Maribyrnong Bicycle Activists and of People for Ecologically Sustainable Transport. 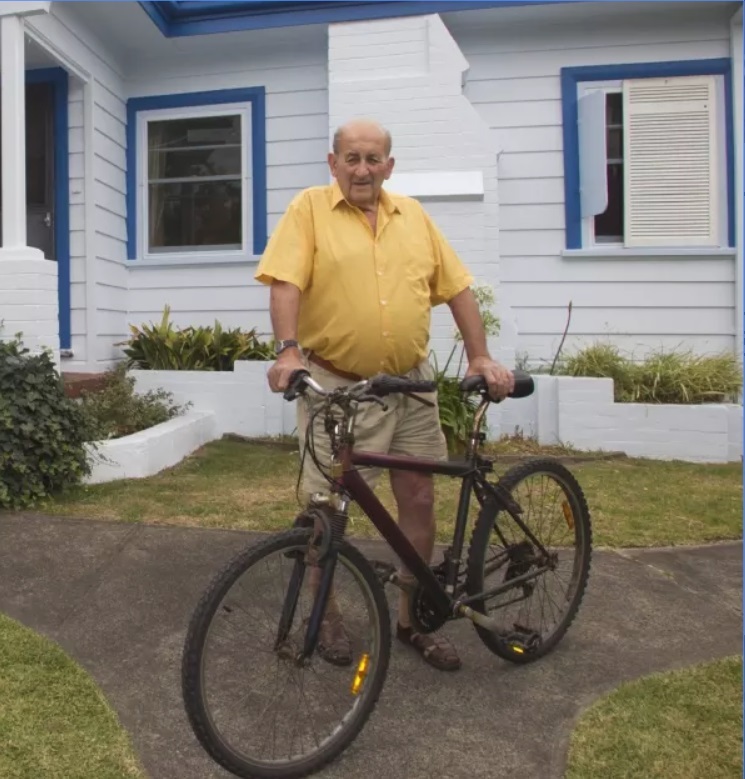 He was an active member of the Public Transport Users’ Association and carried out planning work on the Geelong and other bike plans and on bike paths. He stood as a candidate at various levels of government for the self-styled Public Transport Party, the Australian Labor Party and the Australian Democrats. Alan promoted the “human rights” of cyclists as road users by a variety of methods including production of the pamphlet Safe Cycling and an Australian version of the comic book Sprocket Man. He had several hundred journal articles published promoting cycling as a means of transport and as a feeder to the train and bus network – and wrote numerous letters to The Age. There were also many submissions to government enquiries – and participation in campaigns and demonstrations. Alan was passionate about what he did, determined to succeed and extremely hard-working. Mostly, he was an unpaid volunteer, with the occasional paid contract appointment. In the 1980s the Bicycle Institute of Victoria became the Bicycle Institute (now the Bicycle Network) and Alan withdrew from that organisation, broadening his focus to the relationship of sustainable transport to other environmental issues such as greenhouse emissions and peak oil. Despite ongoing health problems Alan pursued a number of other interests including house renovations, garden landscaping, growing fruit trees and vegetables and jam-making. He enjoyed bus trips, taking a folding bike for short rides in the country; hosting visitors to backyard barbecues; and overseas travel. He published an article on use of the bicycle for people with osteoarthritis and devised a seat for gardening for people with disabilities which utilised a bicycle saddle. In the year 2000 Alan was diagnosed with congestive heart failure. In 2006 Alan and Doreen moved to live full time at their weekender in Sorrento. Alan suffered a cardiac arrest in 2009 but continued to work from home at a reduced pace. Alan was awarded the Australia Eureka Day Medal by the Anarchist Media Institute in 2007, the Victorian Town and Country Planning Association Barrett Medal for a notable contribution to planning in 2014 and the Order of Australia Medal for services to cycling in 2012. Alan died of a heart attack in the Craigcare nursing home in Mount Martha. He is survived by his wife Doreen, daughter Sheila and brother Graham. Doreen Parker was Alan Parker’s wife from 1968.